Hyphema refers to an eye injury which results in bleeding within the eye’s anterior chamber. The anterior chamber lies in front of the pupil and is a fluid-filled space beneath the cornea of the eye. 75% of the hyphema cases report normal vision, after the symptoms have been resolved. Important Disclaimer: this blog on Hyphema is for information purposes only. To learn to recognize and manage minor and severe head and eye injuries enrol in first aid courses with St Mark James. Doctors may prescribe plenty of rest along with narcotic pain medication, aminocaproic acid eye drops, an eye shield, corticosteroid eye drops and other treatment medication that dilate the pupils. 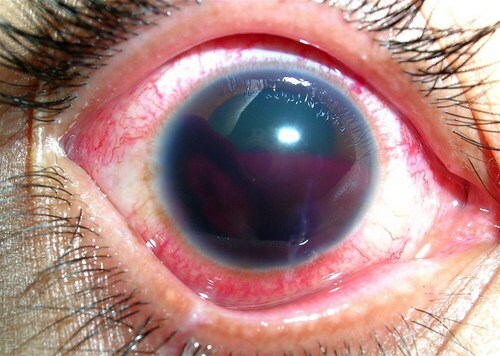 Only a few cases of hyphema require surgery. Your doctor will examine your eye and advise treatment depending on the underlying cause of the condition and the severity of the bleeding. Doctors may additionally, prescribe eye drops and recommend wearing an eye patch till the eye recovers. Surgery is rarely required to treat hyphema. To learn more about minor and major head and neck injuries enrol in St Mark James first aid courses (register here) via credible providers.